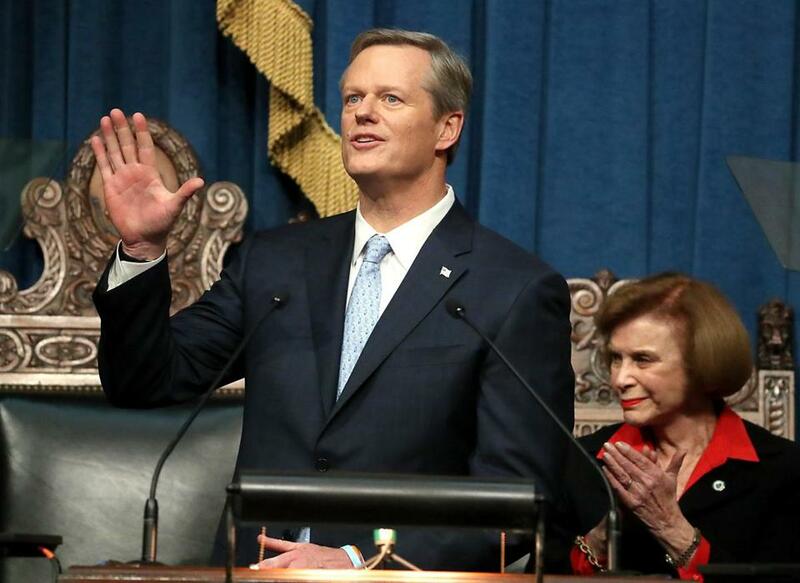 Governor Charlie Baker has unveiled a $40.9 billion budget that would move 140,000 low-income adults off Medicaid and onto private plans to save the state money. Aiming to stem rising state health care costs, Governor Charlie Baker on Wednesday unveiled a $40.9 billion budget proposal that would move 140,000 low-income adults off Medicaid and onto private health care plans. The effort reprises a version of a health care proposal that was rejected by the Legislature multiple times before — and it quickly drew a negative response from a top lawmaker. Baker said the administration has made some key changes to the plan, taking lawmakers’ feedback into account and ensuring that those 140,000 people would have access to, more or less, the same health benefits even after leaving MassHealth, the state Medicaid program. In a shift from last year’s proposals, adults required to make the move would not have to pay more out of pocket, and they would not have to pay extra for dental benefits, administration officials said. “We believe that basically we can give people the same benefit plan they have now,” Baker told reporters. But because of the way funding formulas work, he said, Massachusetts would get an additional $120 million in federal funds every year through the move. Speaker DeLeo, meanwhile, said he is establishing a special committee to examine the controversial move. Yet a few hours later — and just a day after the Republican governor’s State of the Commonwealth speech that trumpeted bipartisan cooperation — a top Senate leader poured cold water on the effort yet again. “As I expressed the past two times Governor Baker proposed this change, we must find ways to address the growing cost of care in the state without compromising access to high quality, affordable health care for all, and especially for our most vulnerable residents,” said Senator Karen E. Spilka, an Ashland Democrat who leads the chamber’s budget-writing committee. In a statement, she said she is not aware of any new circumstances that would warrant a change in the Senate’s opposition to the MassHealth shift. The top budget official in the House said he’s still reviewing the budget and did not offer an opinion on Baker’s plan. 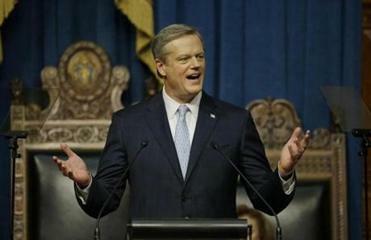 The governor’s MassHealth proposal also drew concern from advocates for the poor. “It’s disappointing to see that the administration is again proposing to drop 140,000 low-income parents and other adults from MassHealth,” said Victoria Pulos, a health care lawyer at the Massachusetts Law Reform Institute. Amy Rosenthal, the executive director of the Boston-based group Health Care For All, said her organization appreciates Baker’s intention to ease some of the “harshest features” of last year’s proposal. The population the administration is trying to shift makes up a relatively small share of the 1.85 million or so state residents on MassHealth, the joint state and federal health insurance program for poor and disabled people. Those enrolled in the program pay no premiums but have some out-of-pocket costs. Wednesday’s plan is part of Baker’s broader effort to slow the rise in MassHealth spending, which makes up the single largest portion of the state budget — about 40 percent. In recent years, the program’s costs have risen rapidly, far outpacing state revenue growth and thus constraining spending on other areas such as education and transportation. But the Baker administration said it has helped contain those health care costs, in part by verifying that everyone on the program is actually eligible to receive it. And administration officials argue that if the Legislature accepts their plan, the program’s spending growth would finally become sustainable, rising about 1.3 percent in the 2019 fiscal year. Massachusetts is reimbursed by the federal government for about half of its Medicaid costs and would need federal approval for the plan to move the adults to private insurance. That initiative was only a part of Baker’s broader budget. The spending plan would also impose the hotel tax on some people who use sites like Airbnb, invest $83 million in new funding to bolster community-based services for adults with serious mental illness, expand the Earned Income Tax Credit, which helps the working poor, and infuse the state’s emergency rainy day fund with an additional $96 million. The House and Senate will get to revise Baker’s proposal in the coming months before the new fiscal year begins on July 1. Baker’s budget would increase total spending by about 2.6 percent over the current fiscal year, but it would maintain about the same funding levels for many programs and offer modest increases for others. For example, the University of Massachusetts system would see just a 1 percent increase. And the Department of Children and Families, which his administration has been determined to rebuild after years of budget cuts and horrific cases of children dying under the agency’s care, would see about a 2 percent bump. Overall, the budget appeared anchored in Baker’s tradition of projecting fiscal restraint and a focus on government efficiency and effectiveness, rather than dramatic spending increases or flashy new proposals. Reaction to the proposal was mixed among fiscal analysts. Noah Berger, president of the left-leaning Massachusetts Budget and Policy Center, praised the budget for seeking to increase opioid treatment services and expanding the state’s Earned Income Tax Credit, which could benefit about 450,000 low-income residents. But in other areas, such as education, the budget essentially provides increases that only account for the cost of inflation, Berger said. Eileen McAnneny, president of the Massachusetts Taxpayers Foundation, a business-backed budget watchdog, was more upbeat in her assessment. She praised Baker’s proposal for increasing funding for opioid addiction services, education, and aid to cities and towns. “My initial impression is a positive one,” she said. Baker’s spending plan relies on about $60 million in revenue from taxes on recreational marijuana sales, which are slated to begin this summer. Whether that money will ever flow into state coffers is in doubt. US Attorney General Jeff Sessions recently granted federal prosecutors broader discretion to enforce the longstanding federal prohibition on cannabis, which the Obama administration had limited in states that have approved the drug for recreational or medical use. And the US attorney for Massachusetts, Andrew E. Lelling, has not ruled out such prosecutions. Joshua Miller can be reached at joshua.miller@globe.com. Priyanka Dayal McCluskey can be reached at priyanka. mccluskey@globe.com. Michael Levenson can be reached at mlevenson@globe.com.